How to dye eggs with old silk ties or shirts! 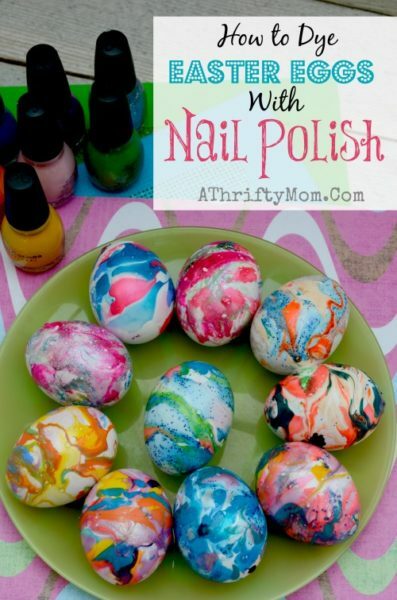 If you need more ideas, be sure and follow our Easter Pinterest Board. Each year we let the kids dye eggs for Easter, but we try and do something unique each year. Did you know you can dye eggs with silk? It seems kinda fancy, but is actually really easy and gives the eggs a beautiful pattern. No two will ever be the same. They are so pretty you might want to blow out your eggs first and just dye the shell so you can display them all month. You will need 100% silk in order for this to work. Below I talk about the best places to get silk if you don’t have some hanging in your closet. You can get them for cheap so do not cut up your expensive stuff, Dad might not be to happy if he comes home to find his favorite ties chopped up in the middle of the kitchen. BUT I bet if you ask, there is a good chance he has some old ties that are stained up or getting a little fuzzy and would be perfect for this project. Start by taking your tie apart. You will need to take out the filler fabric and just use the silk. Once you open it up there will be enough silk to wrap about 3 eggs. Small to medium eggs work best for this project since the width of the tie is not very wide. You want to put the egg on the “right” side of the fabric or the side you see, this will have the less shiny side on the outside. You want to wrap it as tight as possible, the fabric has to make contact with the egg in order to transfer. You can use cotton string or rubber bands to tie it at the top. I take a few extra rubber bands and wrap the egg too, in an effort to get the fabric as close to the egg as I can. You will need to then wrap the egg a second time with white cotton fabric. This keeps the color from bleeding from one egg to another. It also helps the silk stay tight and not shift so much. Add eggs gently to a pan of boiling water. Add 1 cup of white vinegar to the water too. This helps the colors transfer! Boil for 20-30 minutes. The longer they boil the brighter the colors tend to be. Take them out of the boiling water (careful they will be HOT). You can allow them to cool on their own, or run them under cold water if you are in a hurry. Take off the rubber bands and fabric and see the beautiful patterns that have transferred to the eggs. I do recommend only doing a few eggs in each pot, and try and keep darker colors away from lighter colors. Some fabrics will bleed, which will make your colors kind of look “muddy”. If you do not have silk ties or silk shirts, head to your local 2nd hand store. Just look for tags that say 100% silk. I was able to find a bunch of “ugly ties” for $1 at my local Dessert Industries. Some of their nicer ties are $3-$4 but if you dig you can find a bunch for $1. I looked in the men’s shirts and found several island themed 100% silk shirts for $3 which would give me enough fabric to do about 25 eggs. So the shirt was a better investment. You can use the same piece of silk to dye different eggs over and over. Each time it will get a little lighter, but we have used the same piece up to 5 times. Some silk works better than others, but you can almost always get at least 2 dyes out of one piece. Since we do not know what kind of dye was used to dye the fabric these eggs are more for decoration instead of eating. 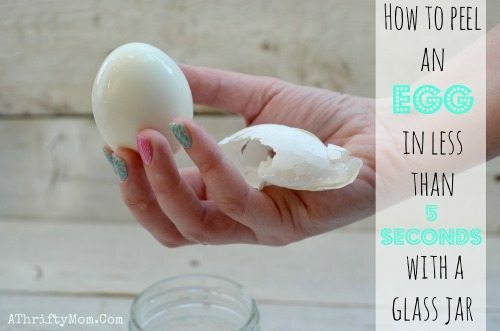 How to peel an egg in less than 5 seconds with a glass jar. I’ve done this. Works great, just not sure you should eat the eggs afterwards. What a creative idea. My kids will dig it. Thank you. Thank you, I love how they turned out! This is amazing! Now I can put my husband’s old ties to use! Thanks! I wonder if my husband would let me use some of his old ties! I’ll probably just hit up a local thrift store instead though. I love this idea! So pretty. Shared to Just Plain Marie! This is so cute! What a cool idea! Fun project! I love I could get rid of some of my husband’s old ties too! Wow!! I didn’t know you could do this! I’m going to have to check out the thrift store to see what I can find! It seems impossible to get that dye off hands, I could imagine trying to get it out of carpets. It was fun the kids loved it! I want to try to do something different with the kids, so I might try this! Love these patterns, so pretty! And it look like less of a mess, than traditional egg dying. Thanks for posting! Time to clean out those ties with stains on them. Looks like a fun thing to do! Active Noise Cancelling Wireless Headphones There's a high value coupon for these Active Noise Cancelling Wireless Headphones! © A Thrifty Mom, Inc Copyright 2009 - 2018 All content is my own. Written permission required for use.